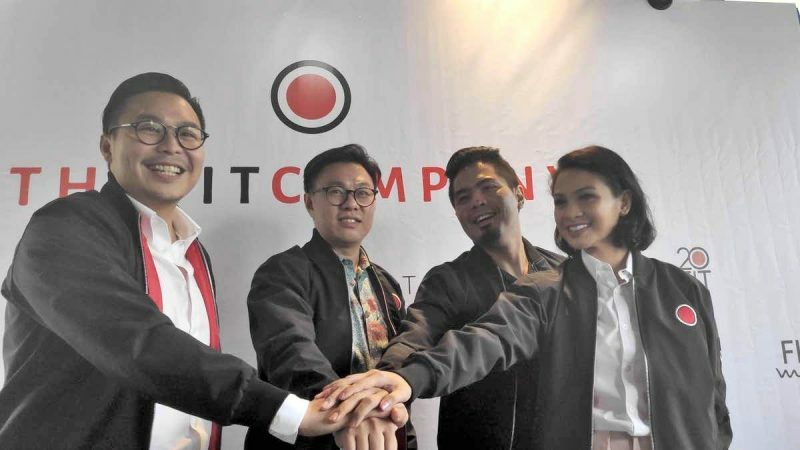 JAKARTA, 29 JANUARY 2019 — The Fit Company, a holding company that focuses on active and healthy lifestyle products, announced earlier today that it had secured an undisclosed amount of seed funding from East Ventures. The investment will accelerate The Fit Company’s mission to build a technology-enabled ecosystem consisting of wellness-oriented products and services that simplify one’s journey in becoming a more active and health conscious individual. “Indonesia has big potential through its young consumer population - close to 60% is below 30 years old, and they increasingly spend on discretionary items. This new consumption behavior presents a huge opportunity for a new ecosystem, especially in the health and wellness category,” explained Willson Cuaca, The Managing Partner of East Ventures. The rapid development of technology has changed not only the behavior of the society but also their habit. People today demand everything to be fast and instant, but at the same time, the awareness of health investment is increasing too. According to Global Wellness Institute, the potential market of wellness economy (including health tech, fit-tech, and healthy food) are estimated to be US$ 4,2 billion in 2017 and grew 6,4% annually. Realizing the importance of holistic wellness technology ecosystem in Indonesia, The Fit Company founders decided to group up all their business under one roof and become the first wellness tech startup in Indonesia. According to CB Insights, Wellness Tech startup is a startup that focuses on holistic healthy living characterized by physical, mental, social, and spiritual well-being. Jeff Budiman explained, “After a period of sustained innovations in terms of products we realize that the whole pipeline of the so-called ‘wellness economy’ is there for the taking. Currently, no one in the market addresses the issue of active lifestyle holistically. Its either they provide only training or only food but never the whole pipeline. With this knowledge, the idea of combining all of our products and services into one ecosystem arose. The Fit Company’s main ambition is to leverage technology as an enabler that users to every facet of a healthy lifestyle and providing them on demand solution and guidance on their wellness needs. The Fit Company has 5 business lines consisting of Kredoaum (Fitness tech distributor), 20Fit (MicroGym), Fitstop (Gym), Fit Lokal (healthy food), and Fitmee (Healthy Instant Noodles made from konjac). The concept happens organically as they evolved as a business. It’s first started in 2014 by Jeff Budiman, Prianka Bukit, dan Bambang Bukit when they created Kredoaum (Fitness Tech Distributor) and 20Fit (MicroGym) to tackle the issue of daily physical exercise. They found the huge need for a more efficient and personalized training method for urbanites. Its Electro Muscle Stimulation (EMS) training technology provides a strong value proposition for our customer. It cuts down training time down to only 20 minutes with the same impact as 3 hours conventional gym session. To this day, 20Fit has 16 studios spread across various areas in Jabodetabek. After a period of sustained growth, in 2017 the founders learned one of the biggest challenges for their member is not only about exercising but the lifestyle part which covers their eating habits. Thus the idea for Fit Lokal pops up. Fit Lokal is a restaurant chain with the concept of providing healthier and low-calorie comfort food option for our members and the general public. They further realized the love of Indonesian for instant noodles. However, as the second-biggest consumer of instant noodles according to WINA, Indonesian still lack the option for healthy instant noodles. Thus, they created Fitmee, a low-calorie instant noodle made from konjac. To date, Fit Lokal has 3 restaurant branches within one year of operation. While Fitmee has a monthly sales growth of 20%. In 2018, The Fit Company began to expand its wings to conventional gyms by opening Fitstop as an option for those who prefer conventional gyms. The first Fitstop is operating at the Menara BTPN Kuningan. The Fit Company, a holding company that focuses on active and healthy lifestyle products with the mission to build a technology-enabled ecosystem consisting of wellness-oriented products and services that simplifies ones journey in becoming a more active and health conscious individual.